These Fiesta Lights are great for outdoor and indoor parties. A great decoration to specialize a patio party, dinner or restaurant accents. 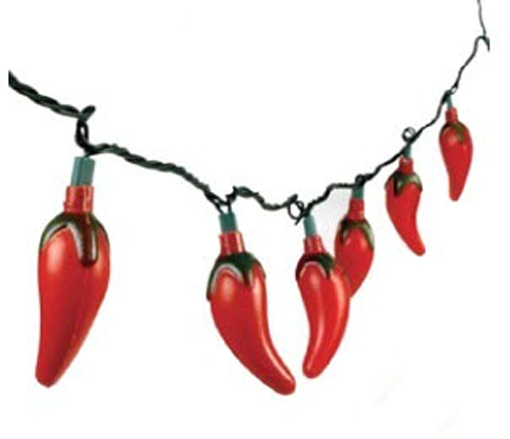 Plastic Chili Pepper Light Set. Includes (10) 3.75 inch by 1 inch chili pepper lights. 8 ft. Light sets interconnect. Plastic Flip Flop String Light Set 8 ft.
Bamboo Leaf Garland 9 ft.